If you’re dealing with bad breath, otherwise known as halitosis, it’s important to understand that it’s a common issue that millions of people face all over the world. Because it usually depletes our self-confidence, it may feel like there’s no way to handle or get rid of halitosis. But, with proper oral hygiene, and by following some of the daily practices or remedies in this post, you can reduce and hopefully eliminate your bad breath or halitosis problem. However, if you think a separate health condition is causing your halitosis, it’s best to consult your dental professional and primary care physician so you can figure out the healthiest plan for a future without halitosis. The unfortunate aspect of dealing with halitosis; there isn’t one distinct source that can cause persistent bad breath. That’s why we’ve compiled six of the most common causes of halitosis. The most commonly found cause of halitosis is the simple issue that people don’t take good enough care of their teeth, gums, and tongue. If you’re not flossing, brushing, and cleaning your tongue twice a day, you’re giving the bacteria in your mouth a chance to populate and possibly lead to tooth decay, gum disease, and halitosis. Another commonly found cause of halitosis is the food and beverages we consume on a daily basis. Try avoiding foods that are high in protein, fat, acidity, and sugar. They are known to increase the chance of bad breath, tooth decay, and gum disease. Try avoiding beverages that are high in caffeine and sugar. 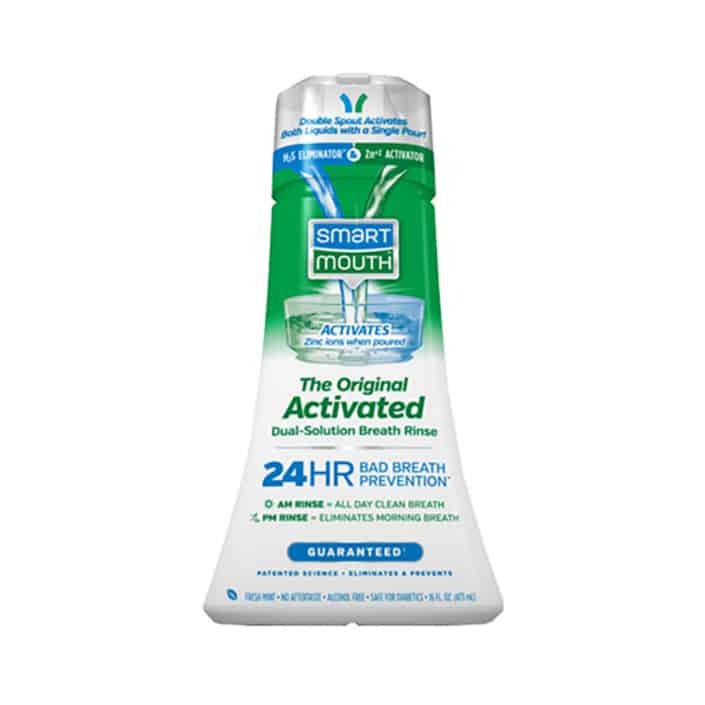 They are proven to increase the chance of bad breath, dry mouth, tooth decay, and gum disease. It may not come as a surprise due to the many negative health consequences of smoking, but it’s also known to increase your chances of halitosis, tooth decay, and gum disease. If you smoke cigarettes, marijuana, cigars, or chew tobacco, try quitting or at least nibbling on sugar-free gum, mints, or lozenges to minimize your usage. High protein diets such as a Keto diet are known to increase your chances for bad breath or halitosis. When our bodies break down large amounts of protein, it gives off a chemical that causes bad breath. There are over 400 known prescription and over-the-counter medications that have been proven to lead to bad breath issues, halitosis, and dry mouth symptoms. Are all known to lead to oral issues like halitosis or dry mouth. If you’re currently taking medications and you think it may be the root cause of your halitosis, please consult your primary physician to ensure the safest and healthiest plan for your future. There are numerous medical conditions or issues with other parts of our body that can lead to halitosis or bad breath. Are among some of the top medical conditions that are known to lead to bad breath and halitosis. The answer is simple. With a healthy lifestyle, nutritional diet, and proper oral care routine your halitosis symptoms and bad breath can be reduced. However, because bad breath, or halitosis, is a recurring issue, there is no way to “cure” it for good. It must be kept under control through proper hygiene and healthy choices. If another medical issue in your body is causing your halitosis, address the issue with your healthcare providers to ensure you’ll see your bad breath symptoms decrease. Brush your teeth at least twice a day, especially after meals. Try carrying a travel oral hygiene kit with you everywhere you go. Floss after every time you brush your teeth. It will ensure you’re removing leftover food particles and plaque and decrease the number of bacteria in your mouth. Start using a tongue scraper to clean your tongue. The back of our tongue is a breeding ground for harmful bacteria and is typically one of the most ignored aspects of proper oral hygiene. Try using a warm salt water rinse daily. Stay hydrated. Dry mouth is one of the leading factors that causes tooth decay, gum disease, and halitosis. Chew on cinnamon sticks. Cinnamon is known to have several antimicrobial attributes and is proven to be effective against bacterial growth. Decrease your sugar intake in drinks and food. Minimize the amount of protein, fat, and acidity in your diet. Increase your zinc intake. Zinc is known to decrease sulfur production, which is the cause of bad breath. Try to quit smoking or chewing tobacco or using marijuana products. Breathe more through your nose instead of your mouth. Decrease your stress as much as possible. Stress can increase your body’s natural tendency to work your sweat glands, which cause bad breath. There are many medical treatments found that prevent and eliminate halitosis if brought into your daily routine. Try an alcohol-free mouthwash or rinse. Make sure it has the technology to minimize the bacteria in your mouth and prevent them from emitting sulfur gas, which is the cause of halitosis. 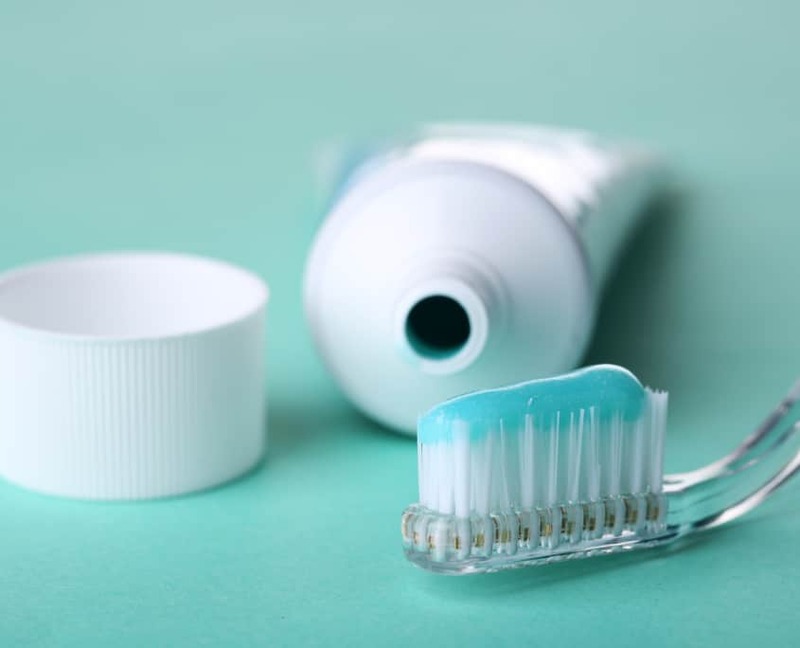 Try a fluoride toothpaste that’s known to reduce plaque and tartar buildup. See a dentist or periodontist to ensure you don’t have gum disease. When gum disease goes untreated, your gums slowly separate from your teeth, leaving crevasses that fill with bacteria. Schedule a deep teeth cleaning with your dental hygienist or dentist. Professional cleaning may be what you need to remove these odor-causing bacteria. If you’ve tried all of these solutions to help get rid of halitosis and you’re still looking for more, we’d suggest you try some solutions that are proven to eliminate and prevent bad breath. 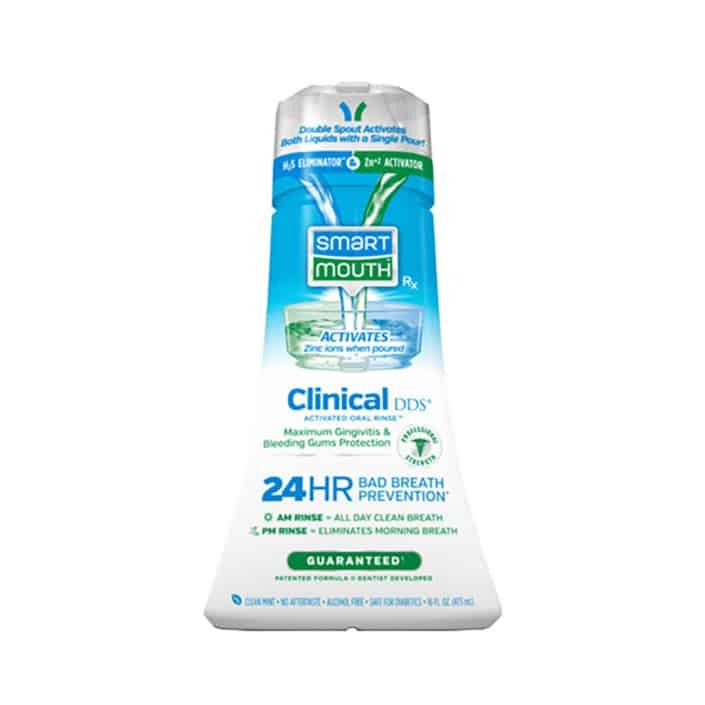 SmartMouth is the only mouthwash proven to prevent and eliminate bad breath for 12 hours with every rinse. So, next time you find yourself struggling with bad breath. Know that SmartMouth is the answer. Dry Mouth at Night: The Causes & Remedies to Get More ZZZ’s What Is Cottonmouth & Why Do You Get It From Smoking?